Constipation is a common post-operative complaint and is one that all doctors across all specialities should assess for regularly. It is defined as a condition in which a patient has infrequent bowel movements (<3 a week), often with hard, dry stools that may e painful and difficult to pass. In this article, we shall look at the aetiology, clinical features, and management of post-operative constipation. Constipation can present with lower abdominal pain. In severe cases, patients may also present with abdominal distension, nausea and vomiting, or decreased appetite. Most patients will have no clinical signs on examination; only severe cases are likely to have abdominal distension or tenderness (both secondary to faecal impaction). A Digital Rectal Examination (DRE) is essential for any patient with constipation to assess the degree of faecal impaction. Most cases of post-operative constipation are benign in nature and can be made as a clinical diagnosis, with no further investigations required. However any features should suggestive of an underlying sinister pathology will require endoscopy. If no cause can obviously be identified or it is severe/resistant to treatment, routine bloods (TFTs, serum Ca2+) may be requested. Abdominal X-rays, CT scans or endoscopies are generally not indicated unless obstruction is suspected. Any imaging may show faecal impaction (yet this is not an indication for the image request). 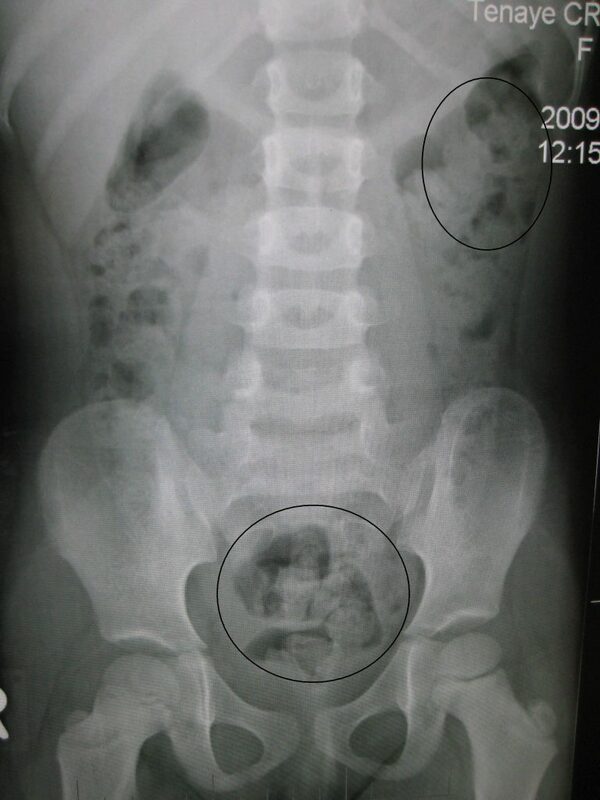 Figure 2 – X-ray image of constipation in a child. The faecal matter is opaque white, surrounded by black bowel gas. In the vast majority of cases, post-operative constipation can be treated via conservative measures alone. These include ensuring adequate hydration, ensuring sufficient dietary fibre, treat the underlying cause, and early mobilisation. Patients with a hard stool and chronic constipation issues will benefit from a stool-softening laxative, such as movicol or lactulose, but may require glycerine suppositories to help soften the rectal stool initially. Patients with post-operative ileus, opioid-induced constipation, or a soft stool will benefit from a stimulant laxative, such as senna or picosulphate. In resistant cases, additional therapy can be given via manual evacuation or an enema. Opioid analgesia should be avoided where possible and other opioid-sparing agents used. Prophylactic stimulant laxatives, such as senna, should be used for patients on opioid analgesia, especially in the elderly. Which of the following is not a known cause of post-operative constipation? 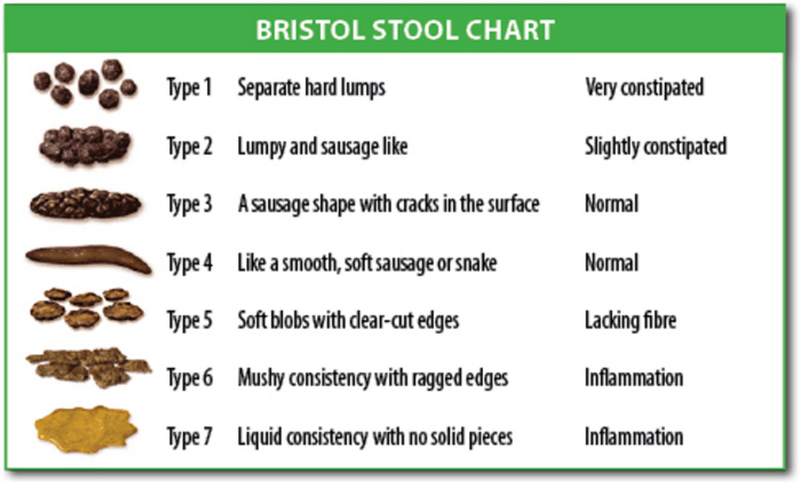 Which of the following best describes a Type 4 stool? What type of laxative is senna?